In addition to a top notch educational program there are plans that have already been submitted to construct a full high school campus to accommodate the influx of students. Plans are already in motion to develop the curriculum and schedule for the new high school and the administration will be conducting an information evening for parents in the school and community to share their educational plans. 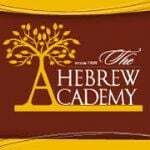 All parents and families who are interested in more information about the Hebrew Academy boy’s high school should contact the admissions director Nelli at admissions@hacds.org for more information.